Our Optical Center also provides several complimentary services such as: eyewear adjustments, cleanings, replacement of nose pads or lost screws, and full re-alignment of your eyeglasses and sun wear at no cost to you! We are the leading ophthalmology practice in Berkshire County offering complete one-stop eye care. Berkshire Eye Center prides itself on providing the highest quality of medical and optical care for our patients. At Berkshire Eye Center, we value quality over anything else… quality patient care, quality customer service & quality products. 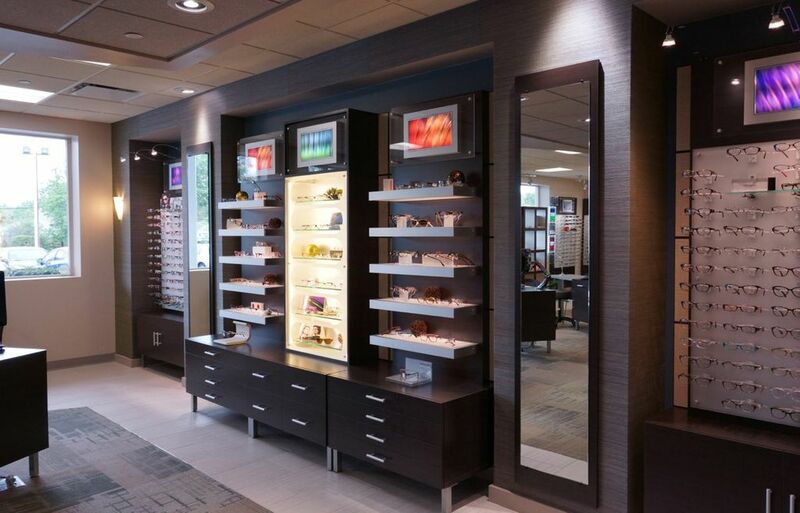 Come visit us in our Optical Center to see for yourself. When patients fill a prescription with us, we are able to extend our: 100% SATISFACTION GUARANTEE! Our GOAL is to provide you with the best service, products and customer care. We offer QUALITY without compromise. Our 100% Satisfaction Guarantee helps ensure you love your eyewear and are pleased with the services we provide you! Whatever the issue, Berkshire Eye Center has the solution! Reimbursement for eyewear from health insurers has become increasingly complicated. Patients are sometimes unaware of benefits they are entitled to. We can help. Whether it’s a private insurer for routine eyewear, or Medicare after cataract surgery, we can get your eyewear benefits applied when other retailers cannot.